A one Dimensional array of characters followed by a null character \0 is called as a string in C Programming. 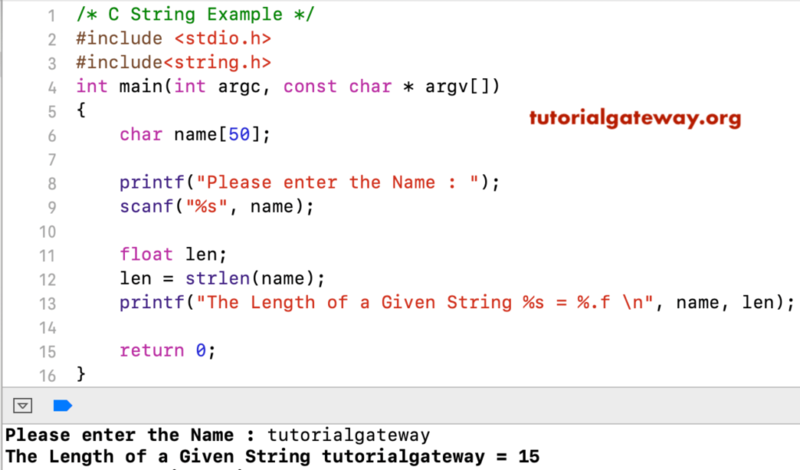 In this article, we will show you, how to declare C string array, access string elements, print elements of a strings in c with examples. String_Size: Number of characters required for this string plus one (\0). For example, String_Size =10 then string can hold 9 characters. In this C program, We are declaring the string in possible ways. Next, we are using printf statement to print those strings. 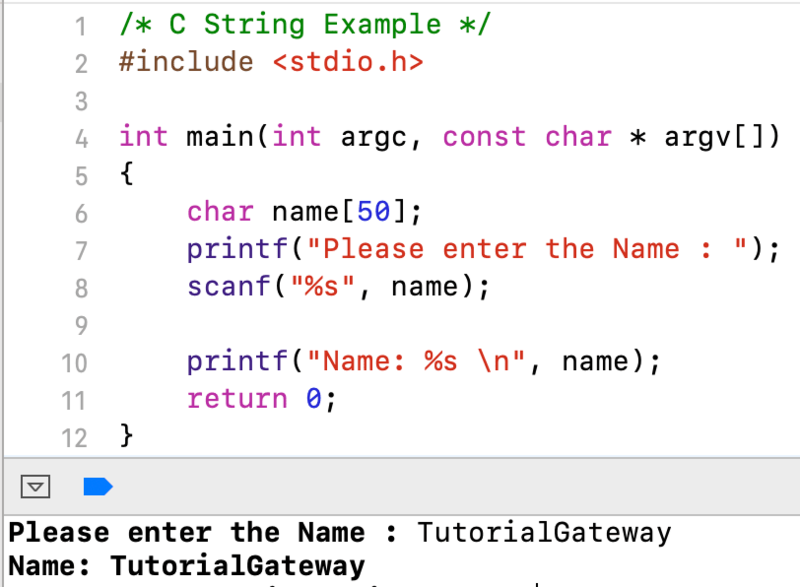 In this program, we are allowing users to enter their own string. Next, we are printing that user given string as output. 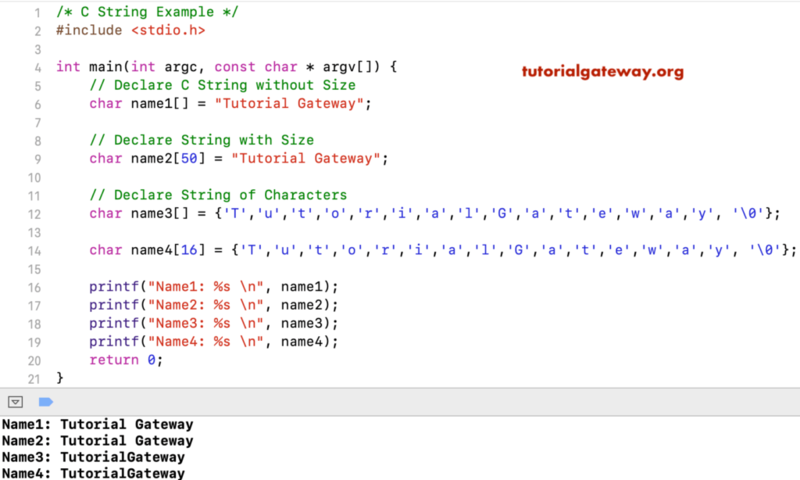 In C programming, you can use indexes to access individual characters in a string. By this, you can insert, delete, or update any character at any given position. It will print that character along with index position. memchr: Find first occurrence of a character and returns a pointer to it. strncat: This is same as above however, you can restrict the characters to add. It appends user specified characters to the end of a string. strcmp: Used to compare two string to check whether they are equal or not. strncmp: This C string function is same as strcmp. However, you can restrict the total number of characters to compare. strncpy: This is same as strcpy. However, you can restrict the number of characters to copy. strrev: This is used to reverse a given string.